If you hold any kind of professional license in the state of Michigan and you get a DUI, you are going to have to report it. This article will be a very short overview of a deep and complex subject. In fact, a person can easily get lost in the details involved in all the license stuff, so I want to cut a quick path to what is more the heart of the matter. Also, I want to turn away from all the scary, fear-based marketing stuff and make it clear that, at least in 1st and 2nd DUI offense cases, you will almost certainly NOT lose your occupational license. It is important to point out that there is a huge difference between what happens in the real world and what is theoretically possible on paper. A 1st offense OWI, for example, technically carries a possible 93-day jail sentence. With the possible exception of cases brought before one Judge in the Metro-Detroit area, nobody goes to jail in a 1st offense case, and even if that Judge does lock someone up, it’s only for a handful of days. This is significant because people often make the mistake of rushing to some lawyer they think can save them, and thus buying into what they want to hear at the moment, when they’re scared. A person will hop online and get just enough information to start freaking out, and then fall prey to the kind of fear-based marketing that I deplore. To be clear, if you have a professional license, you are certainly going to have to report your DUI, but that’s often all there is to it. In the healthcare world, for example, a DUI will almost certainly result in some kind of discipline, but any kind of license suspension is highly unlikely in a 1st offense case if things are handled properly. That said, a suspension is all but certain if it is discovered (and it will be discovered, so you can’t hide it) that a person failed to report a drinking and driving conviction. Within my DUI practice, I represent a lot of people with medical and nursing licenses. To this day, I have NEVER had any client of mine have his or her license revoked, and, as a DUI lawyer, I’ve handled countless 1st offense cases and plenty of 2nd offense cases for medical professionals. The real risks for 1st time offenders is a reprimand, and the possibility of having to be evaluated for a substance abuse problem, and having to attend counseling thereafter. In the real world, counseling and oversight are far more probable in any kind of 2nd offense case (and by that, I mean even if a person is charged with a 1st offense DUI but has a prior alcohol or drug-related conviction). This is where I come in; beyond being a DUI lawyer, I bring a post-graduate education in addiction studies to the table. I fundamentally understand the development, diagnosis and treatment of alcohol and drug problems. Key to being able to help a client through both the court and administrative process is a working knowledge of how diagnoses are made and the various treatment modalities that are available for them. Over-diagnosis is and always has been a common problem in the legal forum. Moreover, this needs to be understood in the context that licensing bodies exist with the mission to protect the public from unsafe practitioners (better safe than sorry, right?). To be sure, IOP and 12-step programs have earned their places as mainstays of treatment protocols. However, the simple truth is that AA and NA aren’t the best options, and they’re not for everyone, even though many people don’t know better. The idea of AA for a drinking problem is almost as reflexive as the idea of dousing a fire with water. Many years ago, AA was really the only game in town, and although it is really foundational to the way we understand recovery even today, there has been progress since its inception in 1935. We could go off here on an almost endless analysis, but the point I’m driving at is that if some kind of treatment is needed, or will be required, you should not just sit back and be required to suffer through a burdensome and demanding “one-size-fits-all” program if there’s something better for you. You don’t have a chance of making that happen, though, if your lawyer can’t present your case to the license board with the appropriate balance of legal skill, clinical credibility and diplomatic finesse. Of course, if any kind of counseling or treatment can be avoided, that’s even better. Here we circle back to what happens when people are motivated by fear. I’ve had more clients than you could imagine come to me, all but looking to the heavens and saying that they’ll do anything to not go to jail or lose their professional license. I have no doubt they mean it when they say it. However, that kind of desperation leads people to agree to jump into counseling and monitoring they don’t really need just because they believe that doing so will spare their professional license. Soon enough, they’ll begin to resent all the demands this makes on their time, especially when they realize some, most, or even all of it could have been avoided. Thus, we need to explore and then take the appropriate steps to steer clear of and minimize all of this. Of course, this must be done productively and with appropriate tact, and not in some defiant way that will test the patience of the licensing board. A 2nd offense DUI, or really any kind of 2nd substance use related offense, changes the landscape completely. Here, we must confront certain realities. It is not uncommon for someone facing a 2nd drunk driving offense to try and explain that, despite how things look, he or she isn’t any kind of “big drinker.” Even if that is true (most often, being a “big drinker” is a question of perception and relativity), what’s clear is that such a person is still a “risky drinker,” and, to a licensing board, that’s a risk to the public it exists to protect. A 2nd offense puts a person at the most risk to get blindly mandated into all kinds of counseling and all kinds of AA, even if one or both of those aren’t the best treatment options. 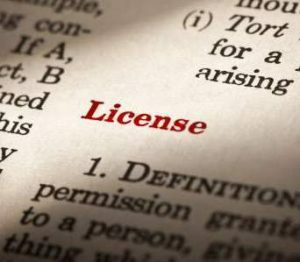 How you report an OWI conviction to a licensing authority is nearly as important as fulfilling the requirement that you report it. For those of my clients with a professional license, we offer conscientious representation to help with that along with the underling DUI charge. My office alleviates the need to hire a different lawyer for each of these matters. The fees vary, depending on the background and facts of the case, but at least the client won’t have to hope that lawyer # 1 and lawyer # 2 understand each other and work well together. As I noted at the outset, this is a very deep subject. There are all kinds of different licenses and professional standards, making this subject one where it is genuinely accurate to say that every case is different. My goal here was merely to point out that while a DUI is an “issue” for anyone with a professional license, at least in 1st and 2nd offense cases, things can almost always be handled smoothly, and the threat of losing your professional license isn’t nearly as real as it seems, at first.